Gregory Chatonsky who is an artist based in France and Canada, founded ‘Incident’, an artist collective of Internet art in 1994 after studying philosophy and visual arts at the Sorbonne and École nationale supérieure des Beaux-Arts. Since then, he has produced a numerous works that explore the relationship between human beings and technology. He participated to many artist residency programs, including Villa Kujoyama in 2014. 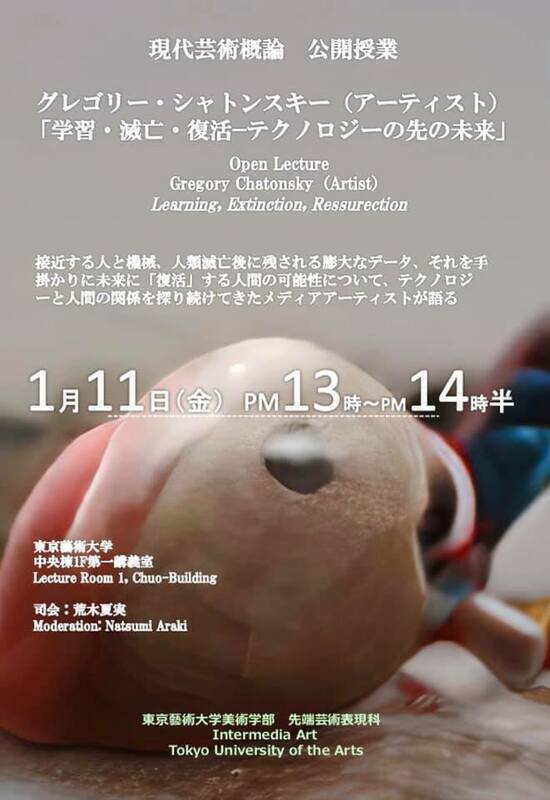 By introducing his art work, Chatonsky will talk about deep learning, big data, accumulated memories left after the extinction of human beings, and possibility of “resurrection” of humans.